Please email/share or print this page! PLEASE NOTE: WE ARE NOT DOING ANY DROP CAMPS OR SEMI-GUIDED FOR THE NEXT SEVERAL YEARS. 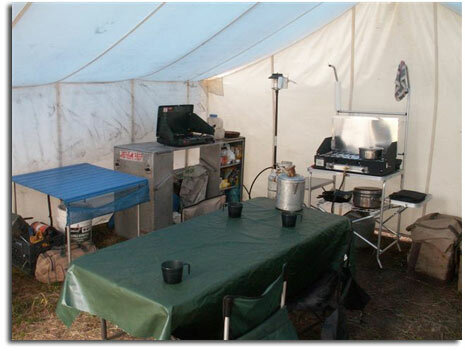 Our semi-guided hunts consist of the following: a cook and home-style meals, lodging in a comfortable wall tent camp, horse transportation to your hunting areas, field maps and hunting area information, game care and retrieval. Really, the only thing you wouldn't get that a fully guided hunter receives is a professional hunting guide in the field with you at all times. There is no personal horse use. We feel these hunts are best suited for a person who wants to spend most of their time hunting and leave more of the logistics up to us. Semi-Guided elk hunt price: $2500 per hunter for 6 days. Extra days are $350/day/person. Call or email us to secure specific dates. 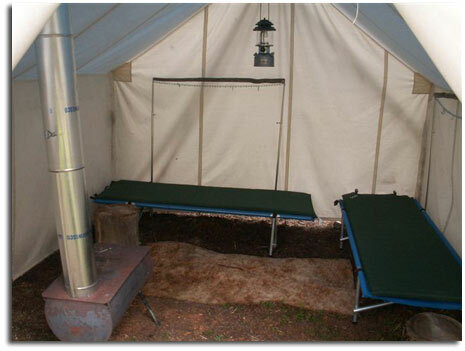 Drop camps are especially suited to the hunter(s) who wants to be packed into the backcountry where they will "go it alone." We will pack you and your gear in by horseback on Day 1 of your hunt, check on you and pack out any game � way through your hunt and pack you and your gear back out on the last day. You have to get your game to camp or the nearest trail; we will pack it out from there. No horses will be left in camp. You will need to supply all personal gear and food. 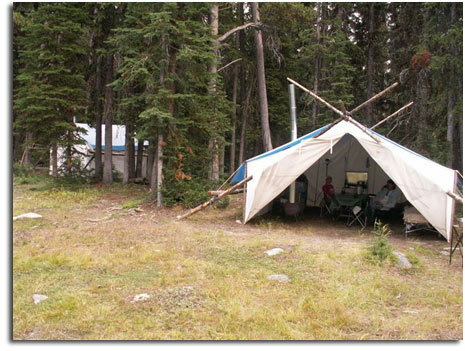 You will stay in a stocked wall tent camp; including wood, cots, lanterns and kitchen equipment. There are good water sources nearby. *Note: A 50% deposit with a completed Hunt Reservation Form is required to reserve a date on our hunting schedule. The deposit is refundable, if you don't draw the license. Balance will be due 30 days prior to arrival. Also please read our frequently asked questions about our elk hunts: Our Elk Hunt FAQ's.